I spent a lot of time this weekend trying to come up with a type of outline for my book during National Novel Writing Month, NaNoWriMo. I jotted ideas down in my phone, but whenever I opened Word, ready to start typing, I had nothing! I must have opened and closed the document three or four times the entire weekend, each time excited that this would be it and I’d have an outline. No luck! While I’m not exactly stressed about this, I am wondering if I should even be participating in NaNoWriMo, but something tells me that I can do this, so at least my confidence isn’t completely busted. I know that it will come to me eventually, hopefully before November 1st, and when it does I’ll be ready! What do I want the message to the reader to be? Make a schedule that ables me to at least write 1,633 words a day, along with two GWW classes, a girl’s only weekend with my sister, and Thanksgiving all in my favorite month! ~Just write and don’t edit as you go. ~If a plot twist appears, go with it and don’t worry about it “fitting” in until you’re done with Nanowrimo. December is for worrying about this sort of stuff. ~Do your characterization and plotting (if you do that sort of thing) in Oct. so you are ready to go by Nov. 1. 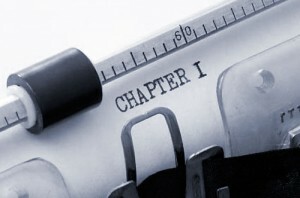 ~If you hit the “zone” and have time to write more than the daily work count you set, keep writing. Don’t stop just because you met your goal. There will be days where you can’t write so its best to be over your goal as much as possible. Try to sit down with a notepad in a different place than usual such as a coffee house or a park lawn. Maybe just getting out of your normal element will help you. I’m doing as much preplanning as possible. Character sheet. Outline. I may end up heading to Alaska for my dad’s open heart surgery at the end of November, which will eat up a week. Yowch! Not sure how to cover for that besides being super prepared and writing extra in the beginning. I’m also planning brain food this year rather than the usual sweets and snackies. Lots of blueberry smoothies and raw food snacks to keep me peppy. Nikki, Thanks so much for your comment! Character sheets are something I haven’t thought of yet – thank you! Oh, and brain food, great idea, and very healthy! I wish your father all the best in Alaska! Maybe try being a Pantster for this one and see where it takes you. You might uncover something awesome that grows organically. Good luck! I’m too chicken to do NaNoWriMo (and too busy with work). These are all great ideas, some of which I’ve used. If I find myself staring at a blank screen I brainstorm to get the creative juices flowing or read a book to clear my head and de-stress. Good luck!! You can do it.